If you were married in the 1980s or 1990s, your wedding video was very likely shot on S-VHS, a semi professional format that gave almost twice the quality of VHS. 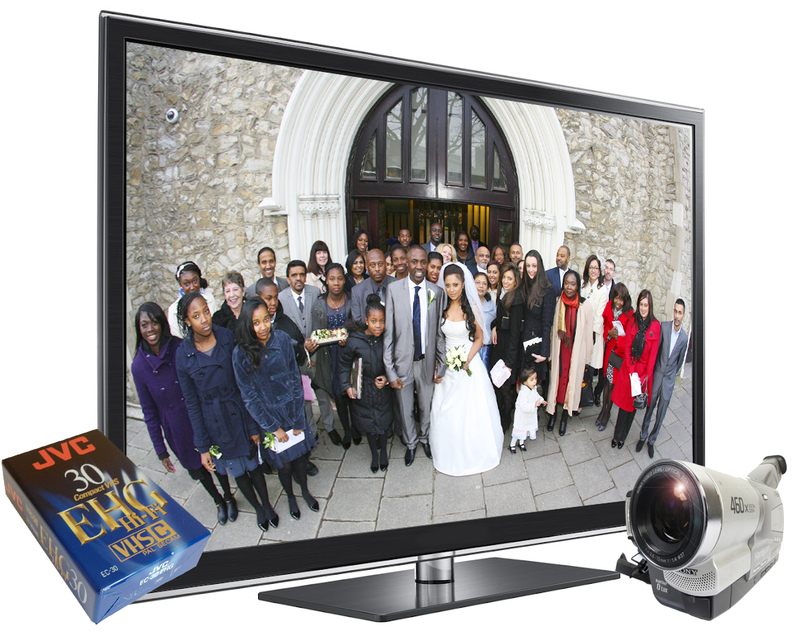 Don't delay, let us expertly transfer S-VHS to encoded DVDs or to any digital video file format for home editing. S-VHS video transfers to DVD normally take about a week. However, if you need your DVD copies urgently, we can do them within 24 hours with a 50% rush charge. If you have S-VHS tapes in in NTSC format, they will need to converted to PAL format to play on UK television equipment.